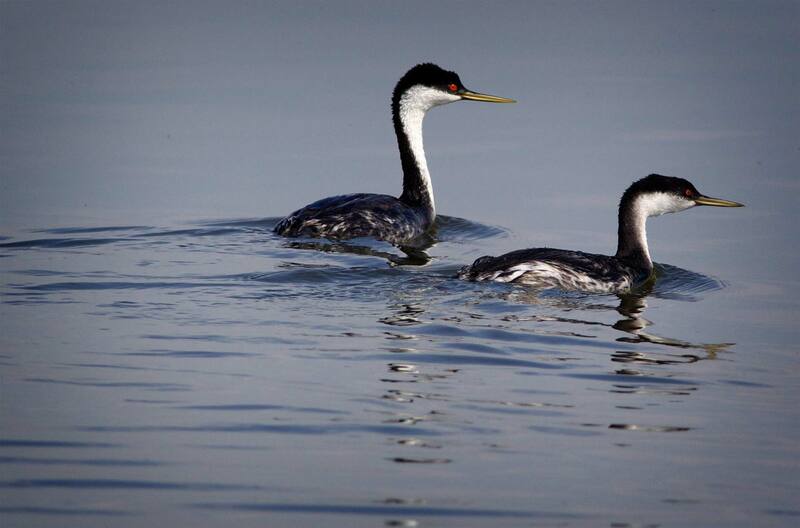 Before that I would have identified both species as Western Grebes and might well have misidentified them if I’d somehow gotten a shot of a Clark’s Grebe, though I find it relatively easy to tell the difference between them now. 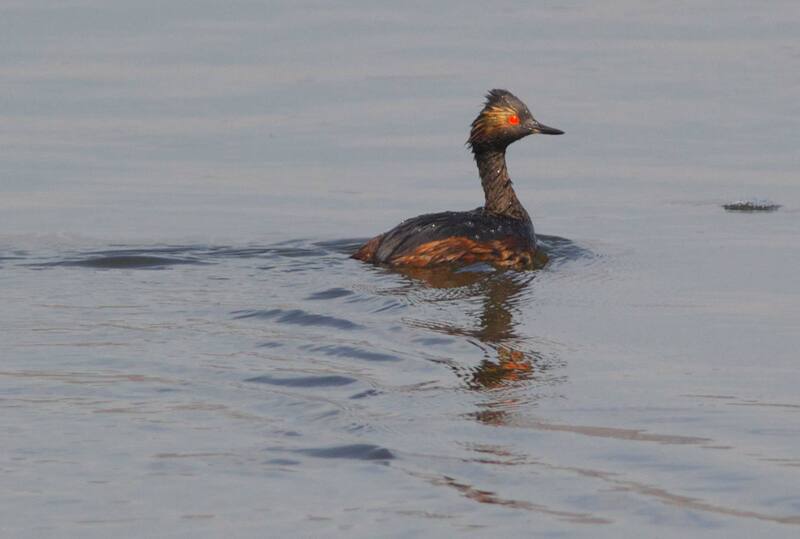 I’ve also learned to recognize the distinctive Eared Grebe in the last two years. 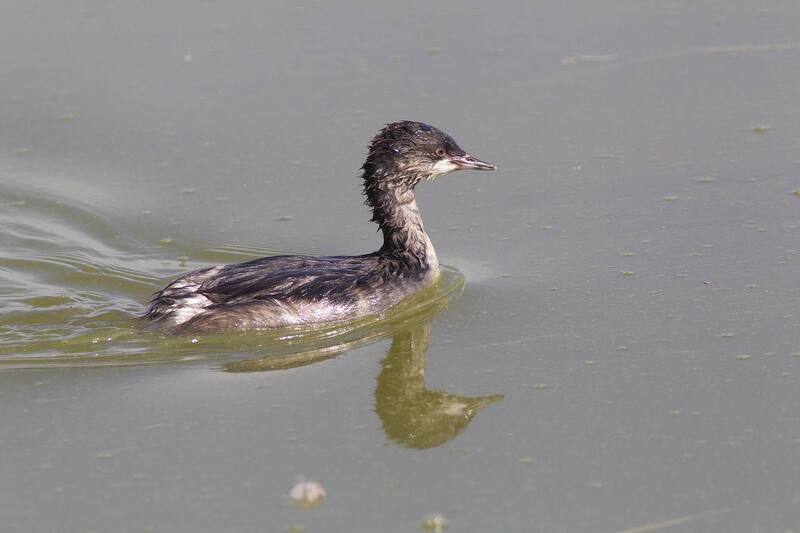 because it’s commonly found on local lakes. 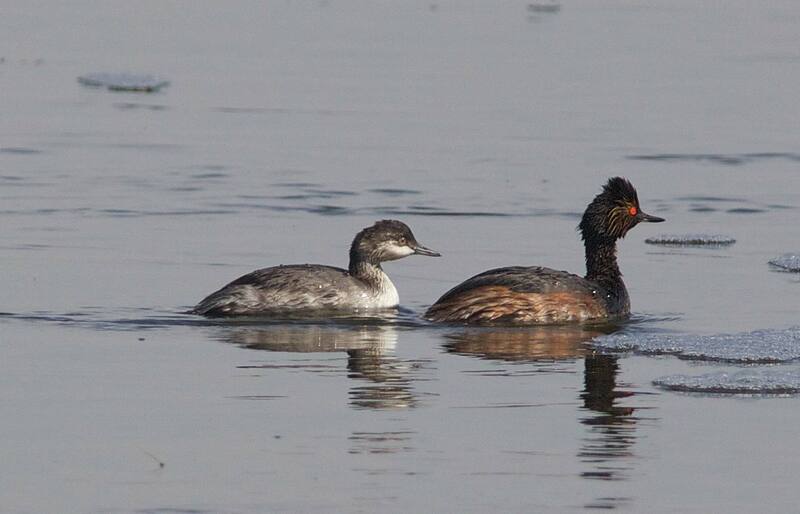 I’m also fond of photographing Horned Grebes, though I ‘ve never seen them at Tule. but I really had no idea what kind it was when I first saw it. I just wanted to get a shot of it so I could identify it later. 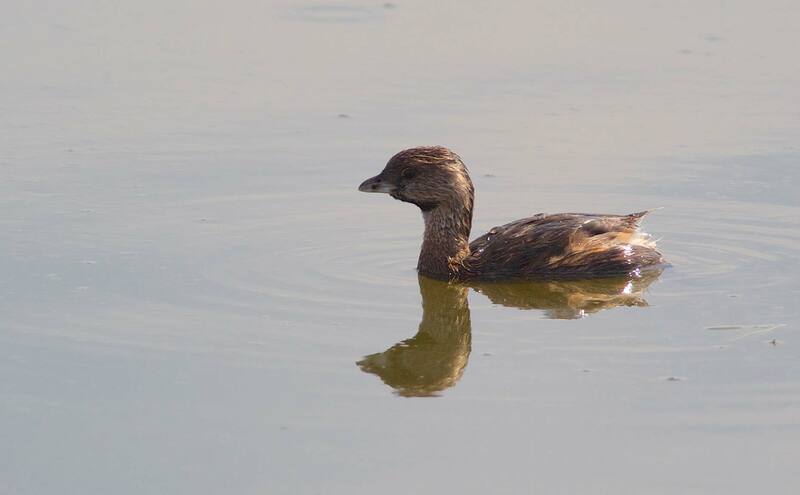 It seemed too large for a Pied Grebe, too small for a Western Grebe, but I didn’t recognize it as an Eared Grebe until I later noticed similar birds definitely swimming with Eared Grebes. 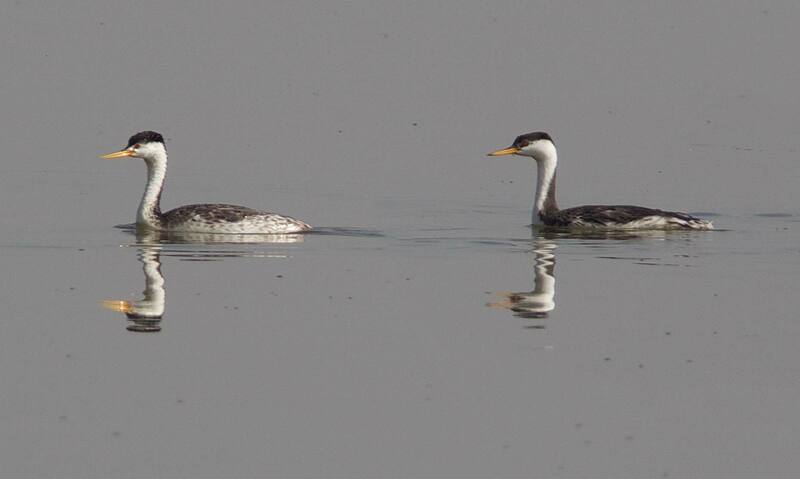 I’m far from an expert birder, but I’m amazed when I reflect on how much I’ve learned in the last five years and how many new places I’ve discovered while birding.